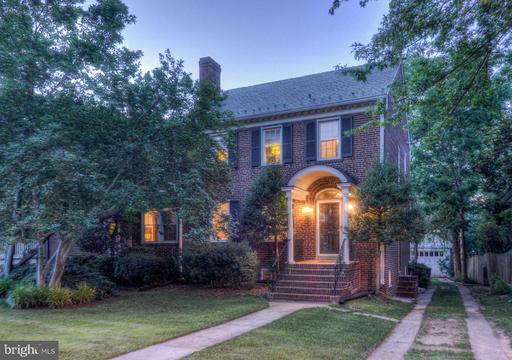 Enjoy the Del Ray lifestyle in this fabulous 6 bedroom, 4 1/2 bath custom built home. 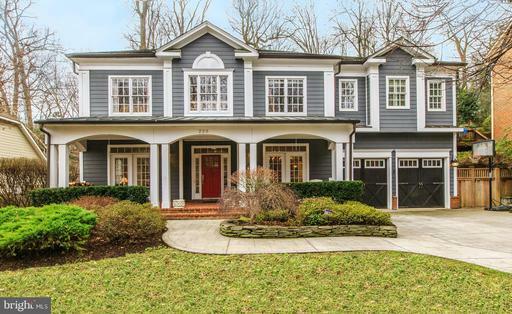 This Turn Key home is thoughtfully designed with a progressive open concept floor plan and hardwood floors throughout. The Living Room features a stacked stone gas fireplace with a reclaimed rustic mantle. A Chefs Kitchen features granite countertops, Jenn-Air Energy Star stainless steel appliances, and a large island with built-in wine fridge, wine rack and warming drawer. The Kitchen opens to the Fam Room with sliding glass doors opening onto the rear deck. The Master Bedroom Suite features a walk-in closet with built-ins and a luxurious Bathroom with a water closet, jetted tub, dual vanities with granite countertops and a frameless shower. A fourth level with a Cathedral Ceiling features an ensuite bedroom, sitting room, two storage closets and a built-in window seat. A hall closet with dryer vent and adjacent to plumbing offer the option to move the laundry to the bedroom level. The finished lower level features an ensuite bedroom, den, flex room, storage closet and a gym area in the Utility Room. The yard has been professionally landscaped with several large crape myrtles, evergreens, and a sprinkler system. 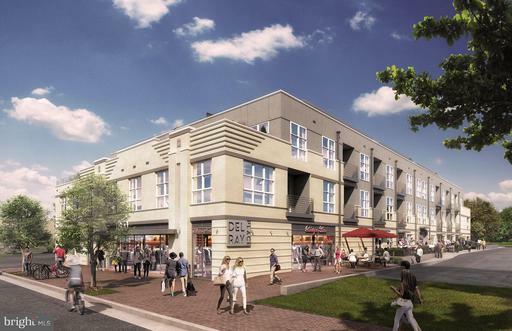 Walk to the restaurants and shops of Del Ray and the planned Potomac Yard Metro. Independently certified Energy Star and Earth Craft home. 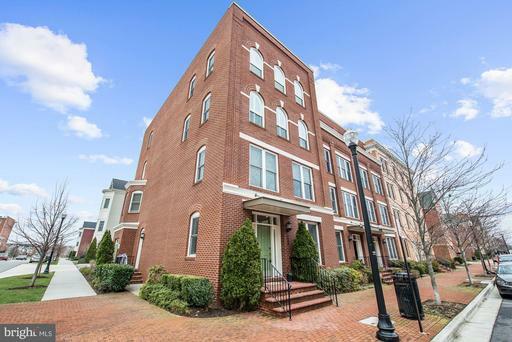 TIMELESS APPEAL AND DC SKYLINE VIEWS - Over 2900 square feet of comfortable modern living built on an elevated portion of King street that was once the site of weekend homes to DC politicos allowing them to catch a breeze and keep an eye on the Capitol, 2425 King Street is the essence of style in the heart of Alexandria City. 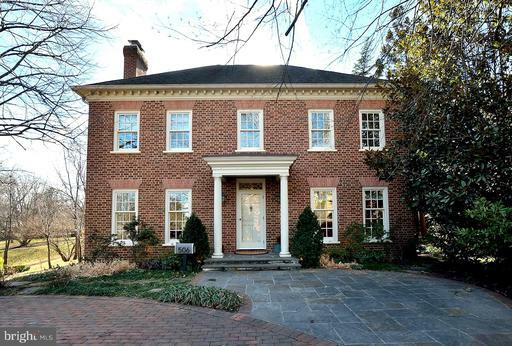 Prepare to be impressed when you enter this stately Colonial residence. A fresh interior with oak hardwood floors and calming neutral colors sets the tone. 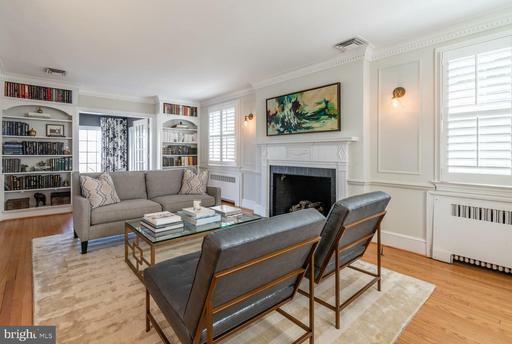 Off the foyer, a pleasant, light-filled living room receives you framed by deep dentil moldings, a cozy gas fireplace with gorgeous original mantel, chair rail accent and floor-to-ceiling beautifully crafted custom bookcases. Easily move from the living room into the spacious dining room with built in china cabinet. A versatile alcove found just steps from the dining room is displayed as a charming sitting room area but feel free to let your imagination run wild! 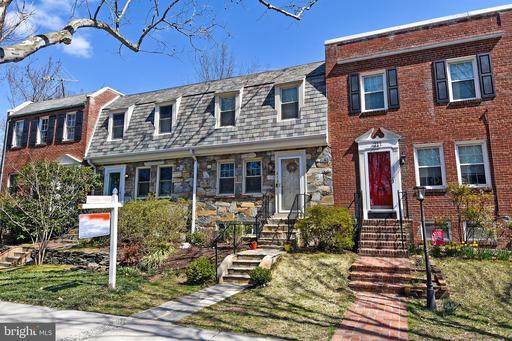 The beautifully renovated kitchen provides a bright bay window with bench seating, sleek two-toned cabinetry, granite countertops, GE Profile stainless steel appliances and access to the home~s deck which will make grilling in the warmer months a natural go to. 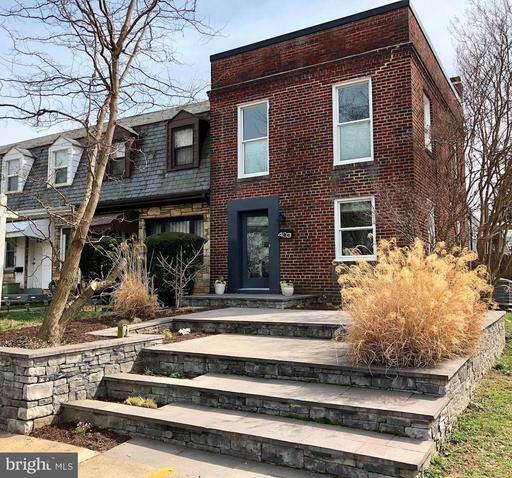 The main floor includes a fantastic 2 level sunroom/porch addition, accessed from the living or dining rooms through French doors, delivering fantastic 180 degree views of the DC skyline. 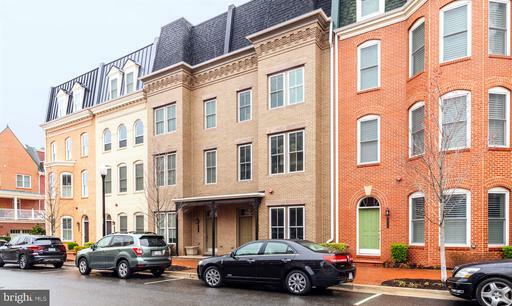 One of only a few homes in Alexandria where you can take in the Washington Monument and the Capitol dome all from the comfort of your new home. On the upper level there are three comfortably sized bedrooms and two full baths. The master suite features chair rail accent and two large closets, one of which is adorned by contemporary sliding glass doors and an ensuite bath with glass enclosed walk-in shower and pedestal sink. 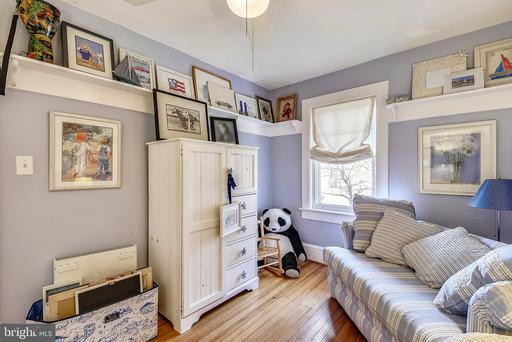 The other bedrooms provide individual character and share a hallway bath.The walk-out lower level delivers tons of options; extended personal living space OR use as an entire au-pair/in-law/guest suite with a separate entrance. Complementing this lower level is a functional nook that is perfect for use as a home office or study zone and the fourth bedroom, all with premium wool carpeting. 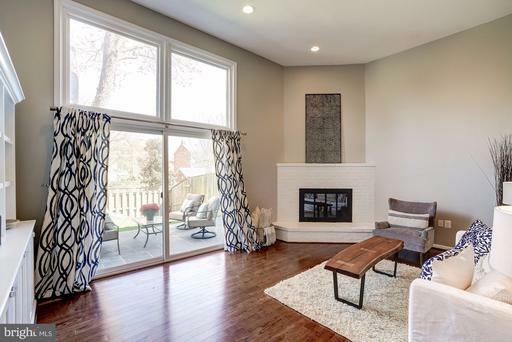 An updated third full bath, laundry and another sunroom complete this level. Stepping outside, the home boasts a well designed and semi-private outdoor space. With a large flagstone patio, entertaining is made effortless and easily extends from inside out. From the patio, an unexpected yard is a welcomed surprise. Plenty of storage throughout plus two attics! Off street parking in a driveway that can hold two SUVs is another bonus! 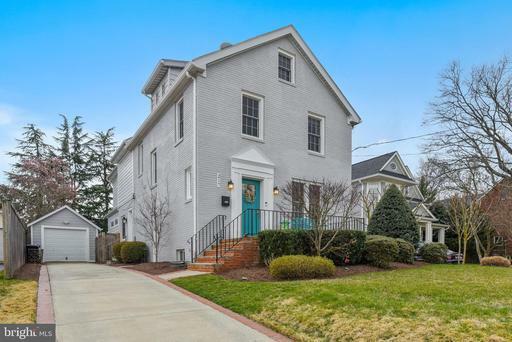 Brimming with lifestyle options, 2425 King Street is located a short distance to historic Old Town, King Street metro, local schools, shopping destinations, cafes and restaurants and endless community activities. 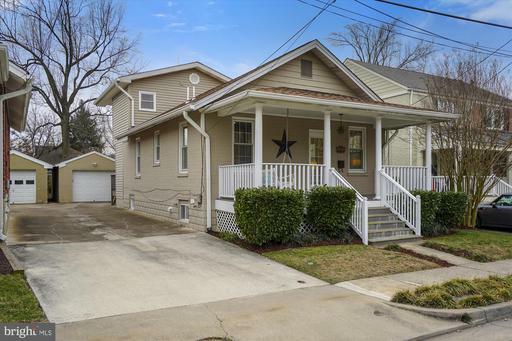 This charming Del Ray Bungalow offers inviting front porch and is situated on a gorgeous, treed corner lot, adding incredible shade and privacy. 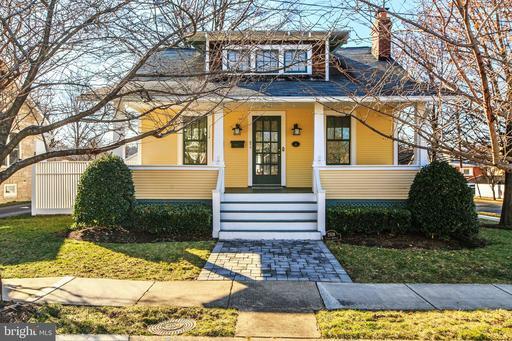 Located just blocks off The Avenue in the heart of Del Ray and short stroll to thriving Potomac Yards. 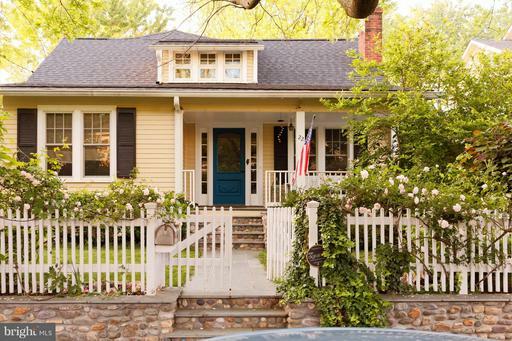 Beautifully renovated from top to bottom in 2001 and oozing with charm. 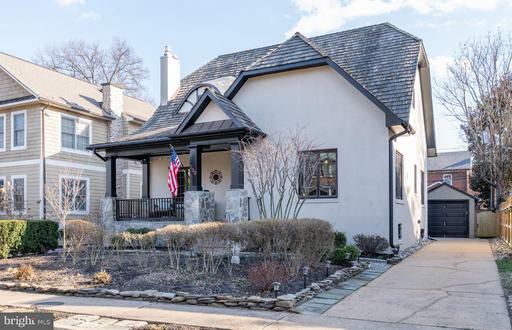 Custom woodwork through-out, gleaming hardwood floors, offering a rarely found main level master suite, with two full bathrooms and smaller second bedroom converted into a large maser closet. The wide open, yet cozy living room offers a wood burning fireplace and tranquil study. 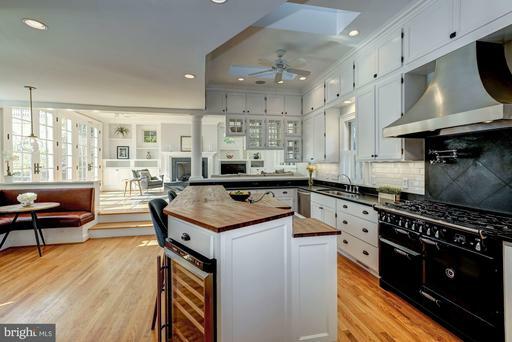 The separate dinging area has a small bump out and opens to kitchen maple cabinets with Plexiglas liner, granite counter tops and built-in breakfast bar. 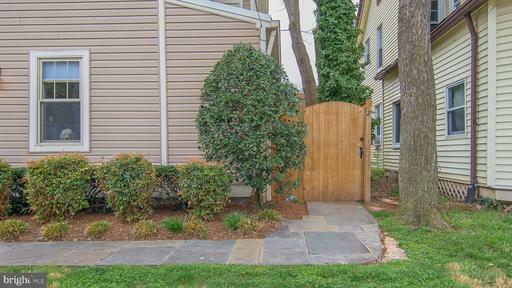 The beautifully hardscaped backyard offers for low maintenance. The French doors opening onto the beautiful paver patio from the studios indoor-outdoor kitchen makes for perfect outdoor entertaining. The wood deck off the kitchen is perfect for morning or evening dinning. 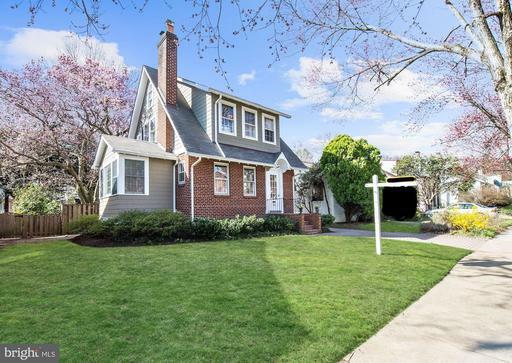 Hard to find in Del Ray, oversized two car garages with addition workspace and storage, is a dream come true for most. The paver driveway offers not only convenient off-street parking for two cars, but is stunning to look at. The two-level studio leads to many possibilities. Home office perhaps, or add a full bath plumbing added when built and use as an in-law suite! 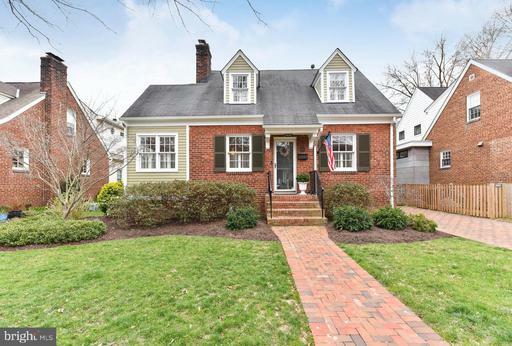 Located 1 block off The Avenue in the heart of Del Ray, this beautifully remodeled, sun-filled 3BR/3BA bungalow has a 2-story rear addition and a REAL 1-car garage. Spacious Living Room with wall of windows, plus open Dining Room and Kitchen with French door to deck. The main level also 2 bedrooms and a full bath. On the upper level is a king-size MBR suite with walk-in closet and MBA. 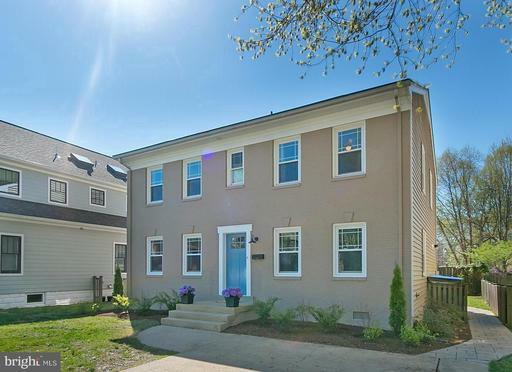 The finished lower level has a large, bright Rec Room, full bath, laundry, and utility room. 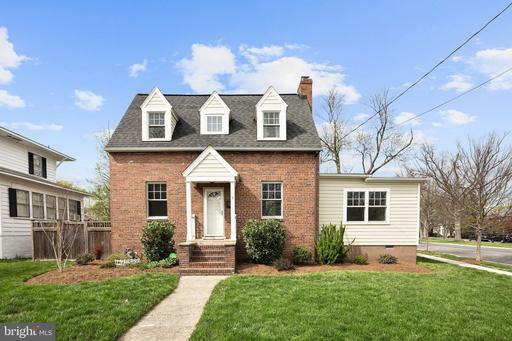 Gleaming hardwoods, built-ins, recessed lighting, and amazing storage in the HUGE walk-in attic. 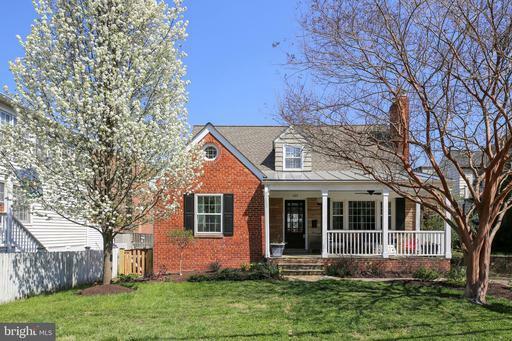 Enjoy spring on the front porch swing and in the landscaped backyard with patio and deck. A gem thats a true 10! 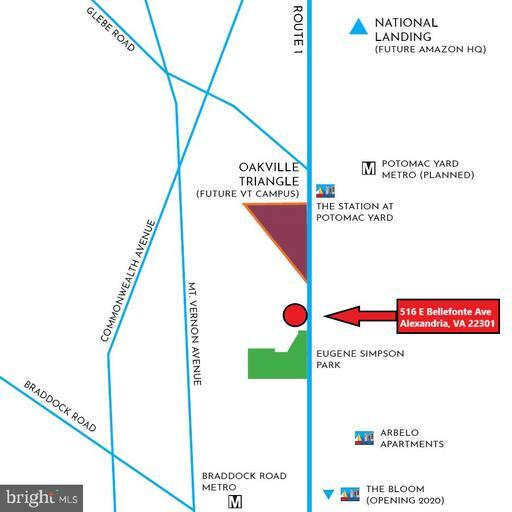 Great location to build your dream home within close proximity to future Amazon Headquarters HQ2 and coming Virginia Tech Innovation Campus. Property is 5,750 sq. ft. and has existing water/gas/power lines. Being sold As-is. 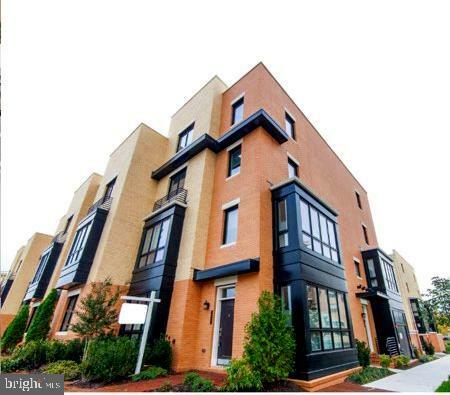 Fabulous three level, 2 bedroom 3 bedrooms with Studio 2.5 bath, end unit rowhome surprises with its many features and finished living spaces. Stunning family room addition and exceptional detached studio effortlessly blend the character of the home with today~s modern style. 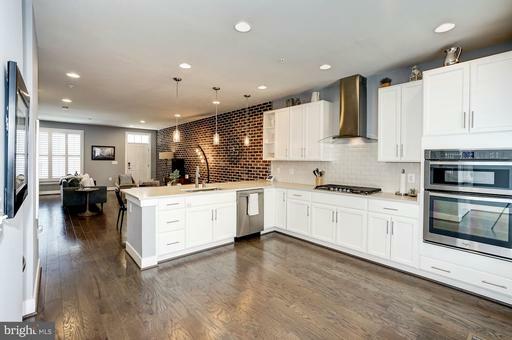 The family room addition features a beautifully renovated kitchen with expansive quartz breakfast bar, stylish cabinetry, pantry, and stainless steel appliances. Exposed brick, metal beam and trendy lighting highlight the charm of the home. The light-filled addition offers privacy with creative windows. Built-in storage and butlers pantry on one side and main level bath on the other side lead to the addition space. 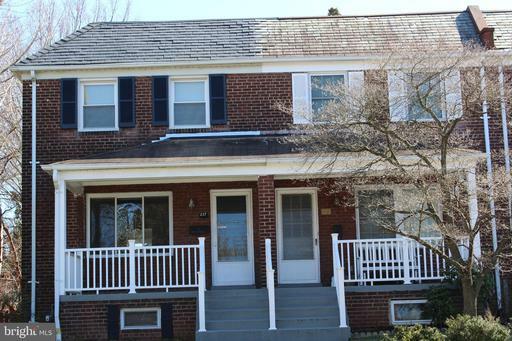 Upper level boasts two bedrooms and full bath. 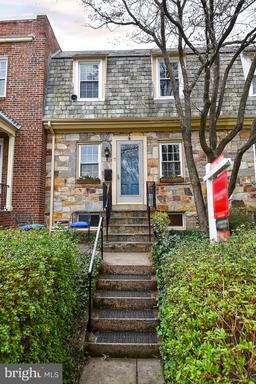 Finished lower level with recreation room and gorgeous newly added full bath with walk-in shower. Unique to the home, the detached climate controlled studio is ideal for guest quarters or home office. The exterior of the home features wonderful hardscaping including a beautiful private patio in the fully fenced backyard. The perfect spot for outdoor entertaining and relaxing. 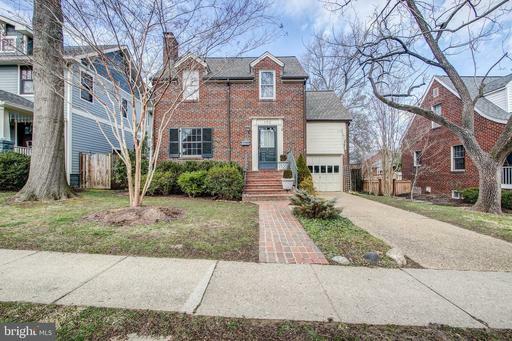 Off street parking for two cars and less than a mile to Braddock Road METRO. 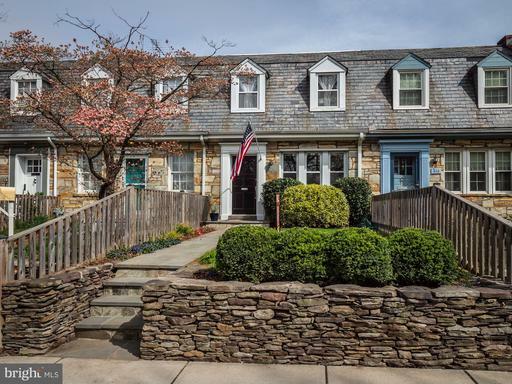 Enjoy living close to the heart of Del Ray~s popular shops and restaurants as well as Old Town, Crystal City, Pentagon and DC. Wonderful opportunity to create your dream home... Update, renovate or start fresh! This 3 bedroom, 2 bath, 3 level "fixer upper" with off street parking and a detached studio sits on a 5,650 sq. 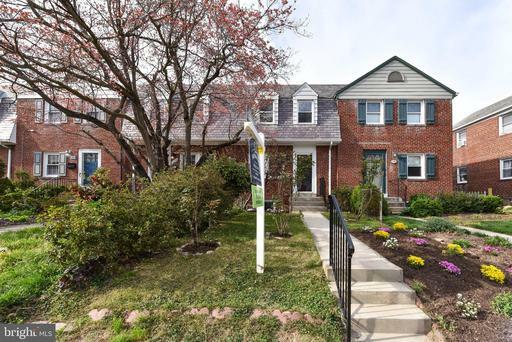 ft. lot just a few blocks from shopping restaurants on "The Avenue" and Potomac Yards. Being sold As-Is. 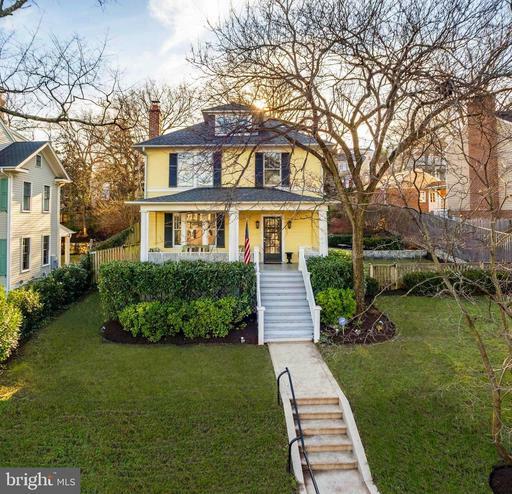 One happy home, decorated to perfection and literally out of the pages of a magazine Arlington Magazine March 2019 3 Bedrooms UP on a quite tree-lined street in the heart of Del Ray - Short walk to metro! 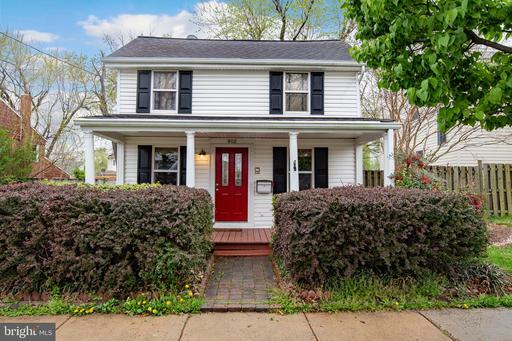 MAJOR renovations include: 2017 kitchen remodel with custom inset cabinets, marble countertops and backsplash, all Bosch appliances included a 5 burner gas range and built in dining bench. 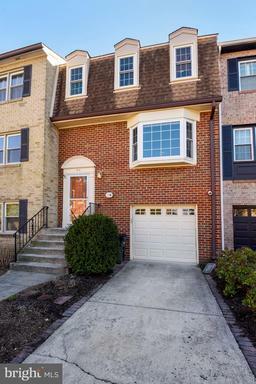 Additional improvements include: remodeled marble upper level bath, full basement remodel to include adding a full bath on lower level, brick patio, cedar fence, New HVAC, new hot water heater, custom cedar fence, sunroom remodel, Elfa closet storage systems in all closets, new front and back doors. Contact Britt Patterson: 703-517-0630. Offers, if any, will be reviewed Monday 4/15 at 4 PM. Del Ray here! 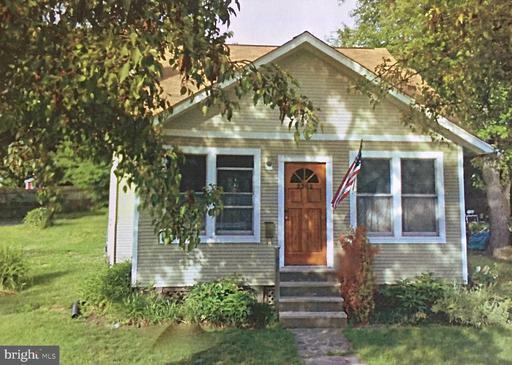 Cozy, updated and move in ready! 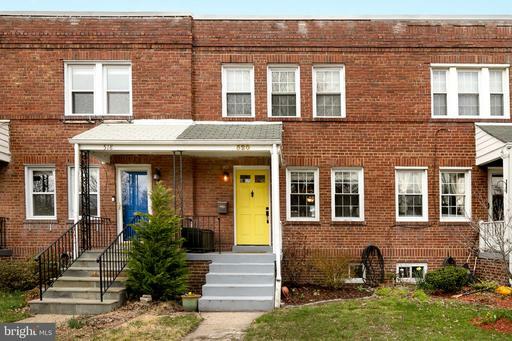 Two bedrooms, three finished levels, with the convenience of two full baths. The sleek updated kitchen with stainless steel appliances will delight for everyday living, and flows nicely for entertaining. Versatile finished lower level with full bath. Breakfast / dining addition off the kitchen leads to wonderful fenced-in back yard dogs dig Del Ray, cats, too!. The washer and dryer will convey. Two off street parking spaces always waiting for you in the back. Steps to Mt. Vernon Ave, less than a block to shopping from the back door. Dining and cafes are just a block or two away. This is a must see! LOCATION, LOCATION, LOCATION! 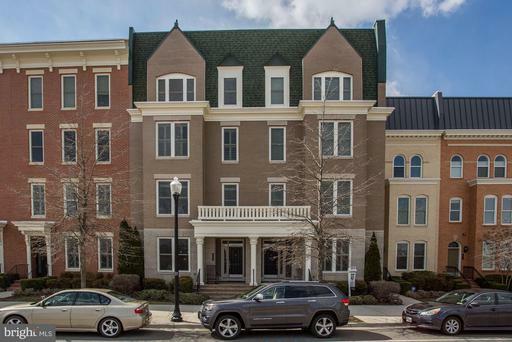 For the buyer looking for a fabulous Alexandria City unit, this is it! 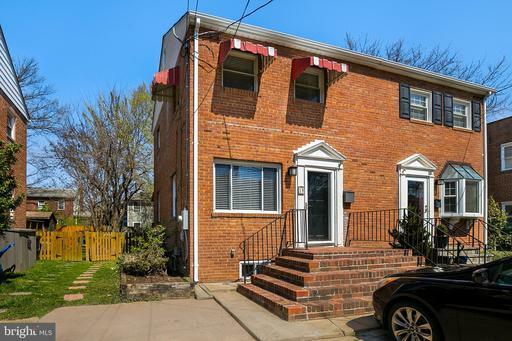 Located on a quiet, tree-lined street, this 1 BD/1 BA 1st floor condo offers walkable living and easy commuting to DC, Arlington and Old Town. 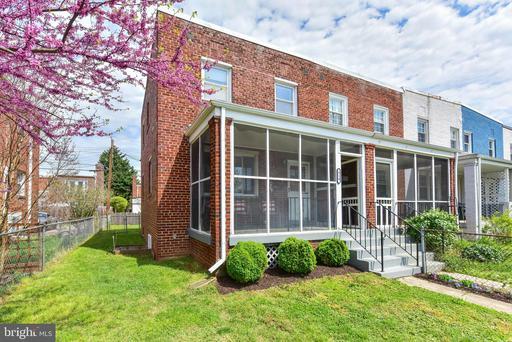 Built in 2009 on foundation from 1920, this home boasts gleaming hardwood floors, KIT with granite counter tops stainless-steel appliances, and W/D in the unit. 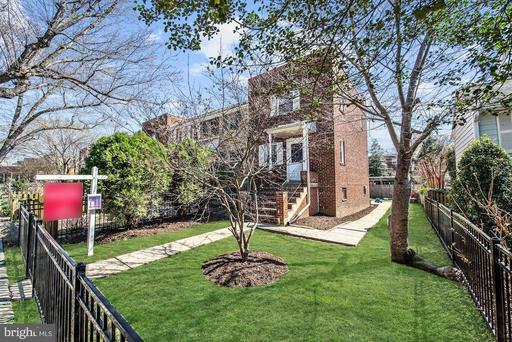 Fenced in backyard, offering quiet urban living in one of Alexandrias most sought-after neighborhoods. 1 parking space conveys + additional storage. Just a short walk to the heart of DelRay Rt. 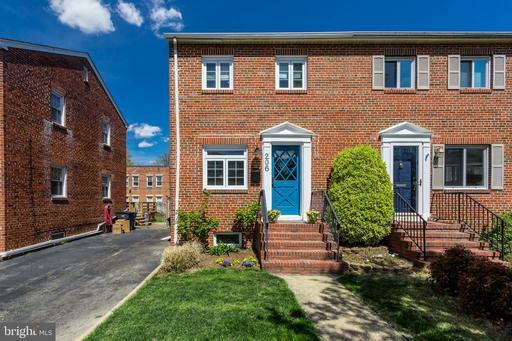 1 stores, movie theater and restaurants, plus easy access to Reagan Airport.